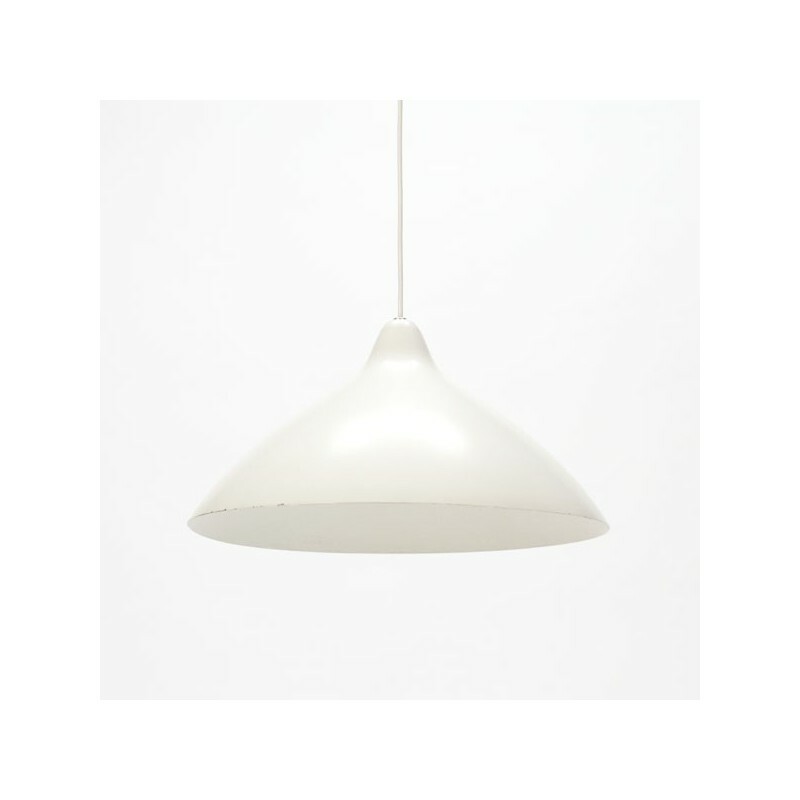 Design lamp from the Finnish designer Lisa Johanssen-Papa. 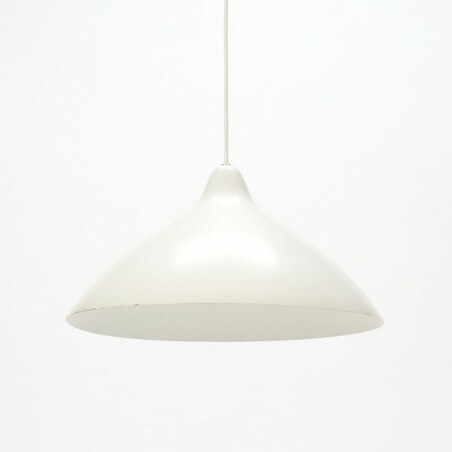 The lamp is white colored, the shade is made of aluminium. The lamp is in a good condition given it's age, see detailed pictures ( no dents). The lamp has a diameter of 44 cm.